After the spectacular performance of AmDynamic Bond fund, AmInvestment Services Bhd would like to replicate the success of the conventional fund into this newly launched shariah compliant fund. The Fund aims to provide capital appreciation by investing primarily in Sukuk both locally and globally. To achieve the investment objective, the Fund will undertake active management to enhance and optimize returns from investing in sovereign, quasi-sovereign and corporate Sukuks. The sectorial weightings maybe adjusted to maximize the performance. There is no minimum rating for a Sukuk purchased or held by the Fund. 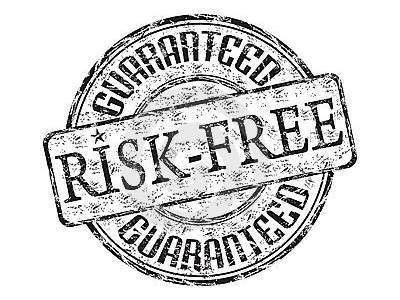 How Can A Profit-Guaranteed Investment Be Risky? Investment professionals love complicating things. Trust me on that. I was once like that. The next time you meet people from the investment industry, try asking them to give you a definition of the word “risk”. Don’t get me wrong. This is actually a pretty good definition of "risk”... that is if you speak finance. But most people don’t, and if you are like most people, you probably struggled to understand even the first sentence (actual return vs expected return...huh?). Good luck attempting to measure risk! Then, what does RISK mean? If you have a medium risk appetite and are seeking for an investment opportunity in the Asian region, you may want to take a close look at OSK-UOB Asian Income Fund, a balanced fund which was newly launched by OSK-UOB Investment Management Berhad on 5 June 2012. The fund is a feeder fund that aims to provide income and capital growth over the medium to long term by investing in one target fund, i.e, the Schroder Asian Income (fund's inception date: 24 October 2011 and is denominated in Singapore Dollar), which primarily invests in Asian equities and Asian fixed income securities. Another new fund for the month of June, Public Mutual launched PB Dynamic Allocation Fund which allows the investor the opportunity to participate in tactical asset allocation strategy where instruments are allocated between the difference asset classes of equities, fixed income securities and money market instruments based on a flexible investment mandate. The fund may capitalize on potential investment opportunities if the market outlook is positive while reducing its equity exposure when weakness in the equity markets is expected. As such, its equity content may range between 30% to 98% of the NAV of the fund. The balance of the fund's NAV may be invested in fixed income securities and liquid assets which include money market instruments and deposits. What is Bursa Malaysia Derivatives Local Participant? Again, it's time for Finance Malaysia to do Bursa Malaysia a favor to educate the public. A Local Participant (Locals) is a professional derivatives trader who trades for his/her own account. In essence, a self-employed trader. With the recent easing of entry requirements, those who aspire to be a Local Participant are not required to pass the licensing examination, show the relevant academic qualification and industry experience. What is the benefits of being a Locals? AmInvestment Bank is launching a new capital-protected fund and it is optimistic of a good take-up rate for this RM100mil new fund. According to its CEO, the launch of the fund is timely in view of the current macroeconomic uncertainties. Since it is capital protected, the fund offers a safe haven for risk-averse investors looking to hedge against the uncertainty in the global market, she adds. The Fund is a close-ended fund which aims to provide regular income with an investment horizon of 2.5 years (30 months) whilst providing capital protection on Maturity Date. The Fund seeks to achieve its objective by investing in ZNIDs and/or MGS and an over-the-counter option linked to the price movement of a basket of five (5) consumer related stocks. For the purpose of the Fund, consumer related stocks refer to stocks of companies that produce products/services that are consumed by individuals. Selection of consumer related stocks is based on fundamental strength of the companies through internal research and brands that the Manager considers to be widely known among investors. Gas Malaysia Berhad (GMB) was established to sell, market and distribute natural gas and Liquefied Petroleum Gas (LPG). GMB is also responsible for the construction and operation of the Natural Gas Distribution System (NGDS), which is a system comprising 1,800km of gas pipelines and stations within Peninsular Malaysia owned by GMB. NGDS is connected to the Peninsular Gas Utilisation (PGU), which is the gas transmission pipeline across Peninsular Malaysia owned and operated by PGB. GMB’s core business to sell, market and distribute natural gas to industrial, commercial and residential customers in Peninsular Malaysia via NGDS. In other words, GMB purchases natural gas from PGB and sells to GMB’s own customers at a profit margin. There are currently two players in Peninsular Malaysia’s natural gas distribution industry, comprising GMB and PGB. However, both serve different sets of customers, whereby GMB’s customer base consists of users that initially consume less than 2 MMScfd, whereas PGB supplies to PETRONAS customers consuming more than 2 MMScfd. Customers that initially consume less than 2MMScfd but subsequently increase their consumption exceeding 2MMScfd will remain as GMB’s customers. It's football season again. This round we have EURO 2012 Championship which will kick off on 8th June 2012. Are you ready? Before that, let us look at the championship from financial perspective. Don't care who will win the championship, Poland already emerged as the winner financially. Why? The UEFA European Football Championship has taken place every 4 years since 1960. For the first time in history, Poland and Ukraine have scored the chance to co-host the Euro 2012 Football Championship. Despite high set-up costs for the two emerging economies, both countries are likely to experience long-term economic benefits. In the recently concluded 1Q2012 reporting season, a similar number of companies under our coverage underperformed, at 31% versus 32% in 4Q2011 and 34% in 3Q2011. 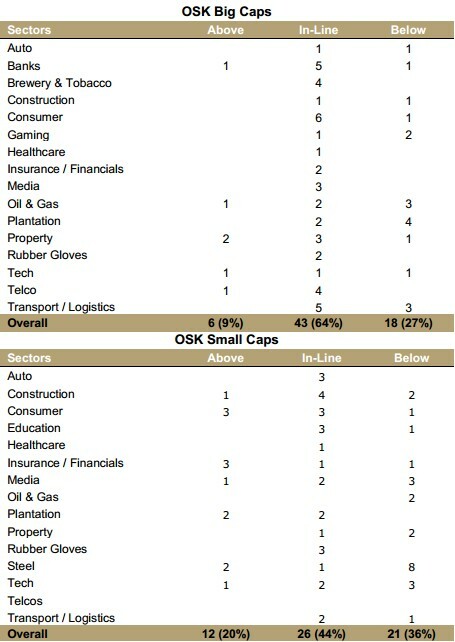 The percentage of companies that outperformed fell to 14% from 17% in the previous quarter (see Fig 1) and 15% in 3Q2011. Surprisingly, there were more earnings letdowns among the big caps, with 27% missing estimates versus 17% in the preceding quarter while among the small caps, more companies trumped estimates - at 20% - compared with 12% in 4Q2011. The notable positive surprises among the big caps were Maybank and JCY while the negatives were from MAS, the Genting Group and MISC. Steel, plantations and oil & gas disappointed.